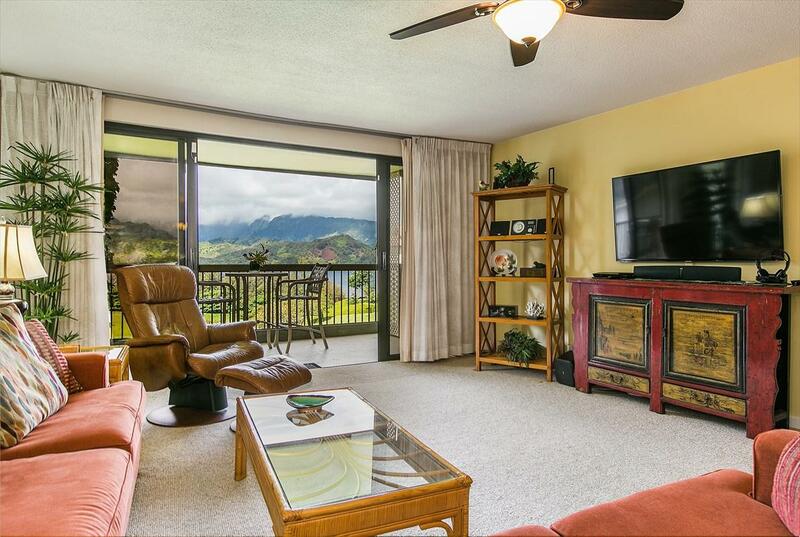 HBR 4201/2/3 is an upgraded 3 bedroom unit in the highly desirable Palms Building at Hanalei Bay Resort with incredible, direct Hanalei Bay, mountain and waterfall views! 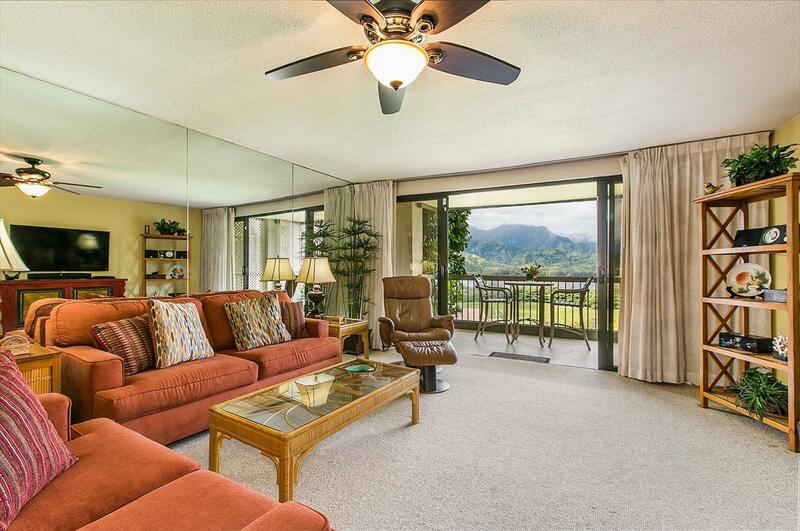 The spacious living area and every bedroom opens up to an outdoor lanai and panoramic views. Enjoy coffee or breakfast on the lanai while watching summer boating, year-round surfing, seasonal whales and rainbows! 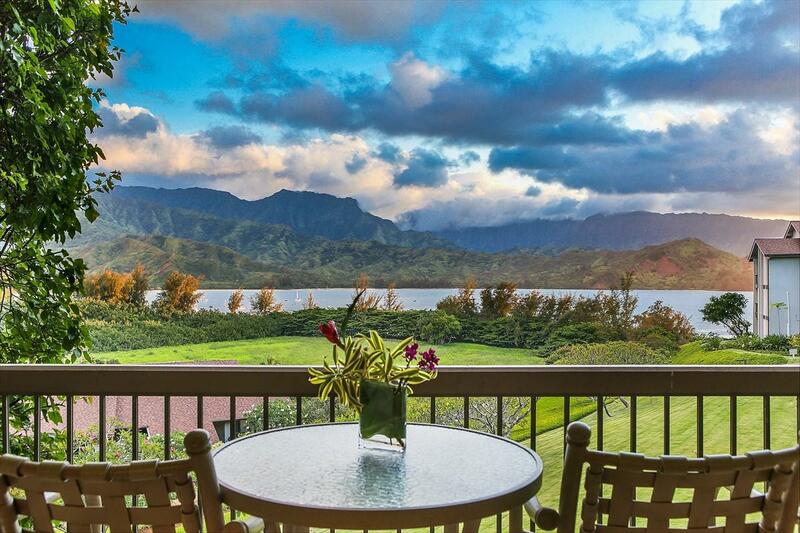 Watch the sunset over Hanalei Bay and Bali Hai. This 1,705 sqft condominium has been completely updated including new bathroom renovations to feature walk-in showers. The unit offers three separate entrances allowing for flexibility in use and privacy for guests. Offered fully furnished and completely turn-key as an established vacation rental or would make an amazing second home. 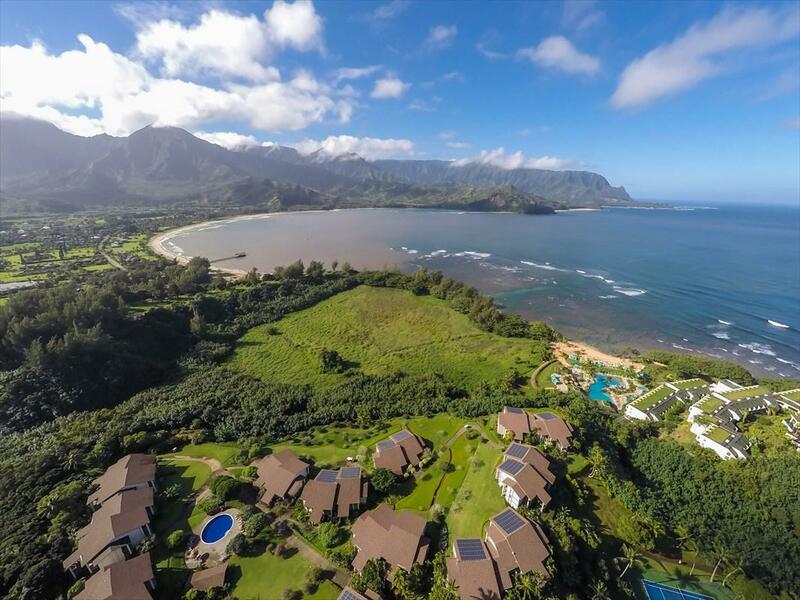 Hanalei Bay Resort offers the North Shores finest amenities and is just steps from the St. Regis Beach. Amenities include an onsite restaurant and bar, multiple pools withwaterfalls, Jacuzzi, and eight tennis courts. This Resort also offers guests a paved path to the beach and door to door shuttle service! Maintenance fees are ALL INCLUSIVE of utilities including electric, cable, phone and internet.